On with the list of books! Little Black Book – Otegha Uwagba I’ve seen this mentioned a lot by other people online so I decided to check it out, I’ve had a quick flick through it and it looks like a great little book full of tips for your career. In Conclusion Don’t Worry About It – Lauren Graham I absolutely love Lauren Graham’s writing style so knew I had to get this book too (I’ve already read her other two books). I Know A Secret – Tess Gerritsen Rizzoli & Isles TV is one of my all time favourite TV shows so I’m glad Jane and Maura are still living on in book form. Eleanor Oliphant Is Completely Fine – Gail Honeyman I saw so many people talking about this online I picked it up when I was in a supermarket a few months ago. Somewhere Beyond The Sea – Miranda Dickinson I loved reading the short story set in St Ives at Christmas (you can find my review here – Blogmas | Book Review: Christmas in St Ives by Miranda Dickinson) so of course I was going to get this book too, it’s a continuation of that. The Distant Echo – Val McDermid I got all excited thinking there was a new book in the Karen Pirie series then realised this was actually the first book (I started reading from the third) so it’ll be great to see where it all started for one of my favourite fictional detectives. 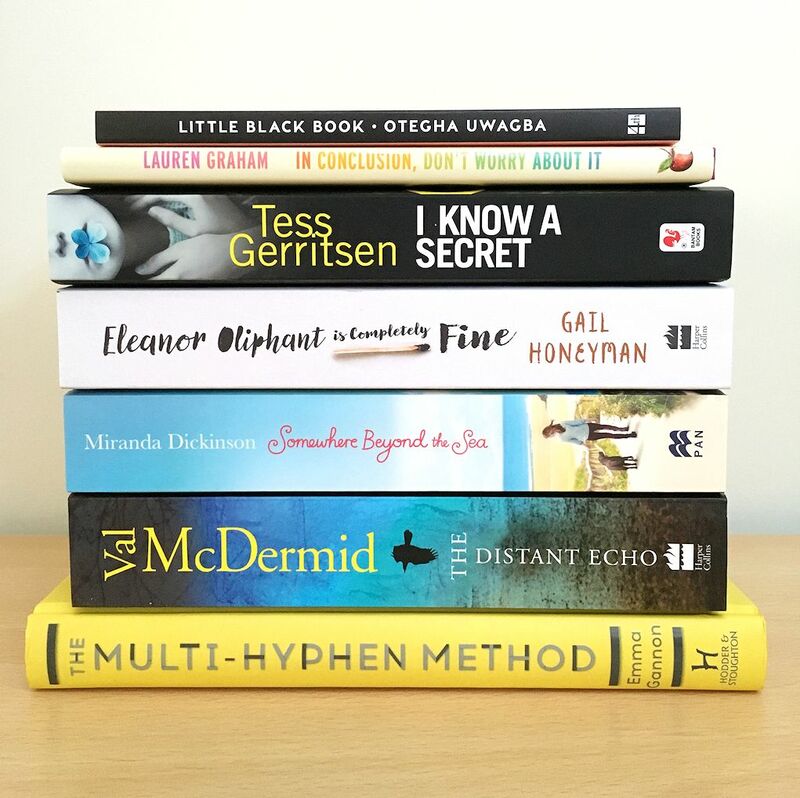 The Multi-Hyphen Method – Emma Gannon I knew the minute I heard about this book that it was one I wanted to read, doing a lot of different things at any one time is absolutely me. What books have you added to your TBR list recently? I’m half way through Eleanor Oliphant and am LOVING it! Do also want to read Somewhere beyond the sea so I’ll definitely check out your review too! I just picked up a new book today though so it may have to wait a little! !